PLAVNICA, Montenegro -- In the end, the zoo keeper was right. 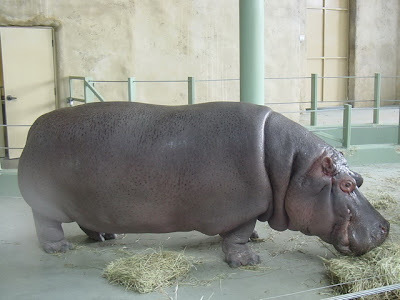 The 2-ton hippo that escaped from a zoo in Montenegro has returned home, without hurting anyone. Some officials said Nikica should be shot and killed when it escaped from a zoo on a small island in a lake, and entered a nearby residential area.Flooding had allowed the animal to swim over the cage surrounding its pen, and hippos are considered one of the world's most dangerous species. But Dragan Pejovic, the owner of the private zoo, said Nikica was being monitored and returning to the island from time to time to eat bread and hay. 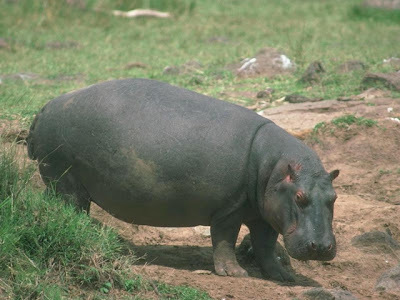 On Wednesday, 9 days after its escape, Nikica walked through the open door of its gate and returned to its pen.Pejovic says he is happy his hippo didn't attack anyone while it was away.